Sonic Youth, whose skin basher Steve Shelly just recently parted ways with Disappears, have revealed the “news” they promised was coming today. In August 1985 Sonic Youth were touring across the states following the release of their recently released LP ‘Bad Moon Rising’. This performance from August 11, 1985 at Chicago’s Smart Bar was recorded on 4-track cassette. This live recording consists of much of Bad Moon Rising and early performances of Secret Girl + Expressway to Yr Skull later to be released on EVOL, as well as a rare never before released live rendition of Kat ‘N’ Hat. 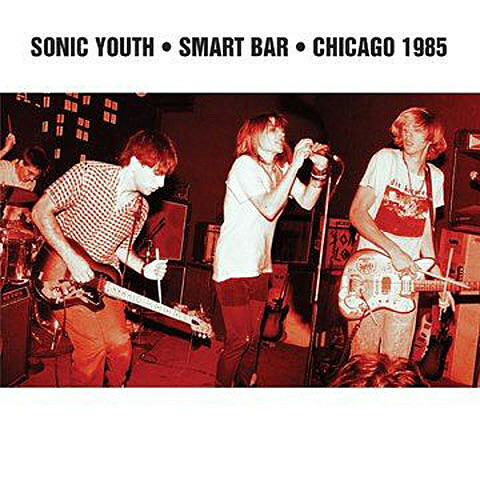 Sonic Youth – Smart Bar – Chicago 1985 is due out on November 14 in 2LP/CD/digital formats via their own Goofin’ Records.